One of my more savvy Gold Coast hotel clients recently contracted me last week for a very quick photo shoot. They needed promotional photos of one of their entertainment areas that they book for corporate and private events. The space was a very nice one, very sellable, yet they had no photos of it to promote the hotel’s offering with. Just a super-quick shoot while the space was already dressed for an event was proposed to increase their bookings. A tiny fraction of what they charge for one event booking was all that it took to invest in some nice photography to immediately multiply their ROI. Good images of your venue are vital – be it a restaurant, cafe, hotel or event space for hire. Prospective clients need to see images that clearly represent the offering if they are to consider short-listing your venue for their event. 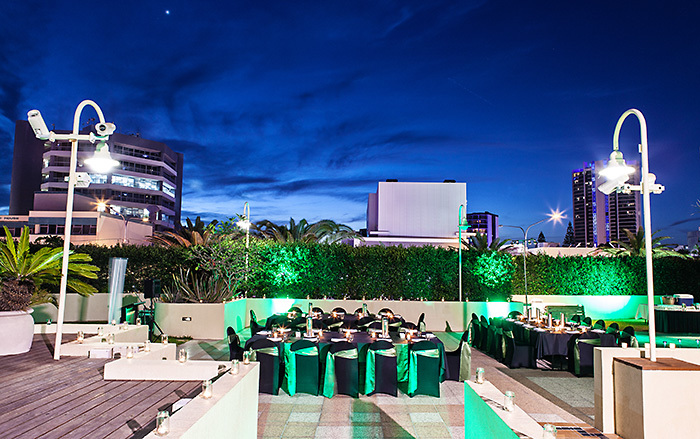 Another tip is to photograph your venue at both day and night times, if your event hours offer both timing options. 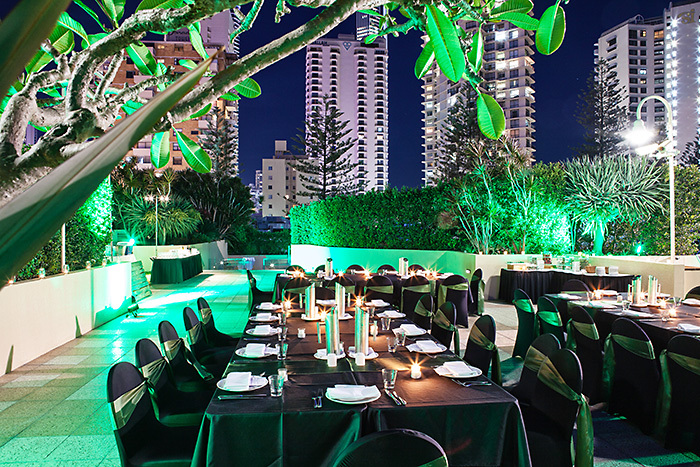 Don’t rely on people’s ability to visualise your venue at night through daytime interior/exterior photos. You’ll be missing the opportunity to showcase the magic of your venue once the mood lighting and candles are in place for an event. For enquiries regarding hotel, restaurant, cafe or event photography, please do contact us for further advice about how to best fulfil your specific needs.